It's hard to believe that another year has passed since my FIRST Dream Chasers Workshop here in our little coastal town, South Bend, Washington. I couldn't be more excited to share this blog post with you today and let me tell you that trying to narrow down images to share for a workshop overview post was SO HARD. Thanks to my friend Nicole, this year was PACKED with tons of behind the scenes images and amazing perspectives from the 3 day event. 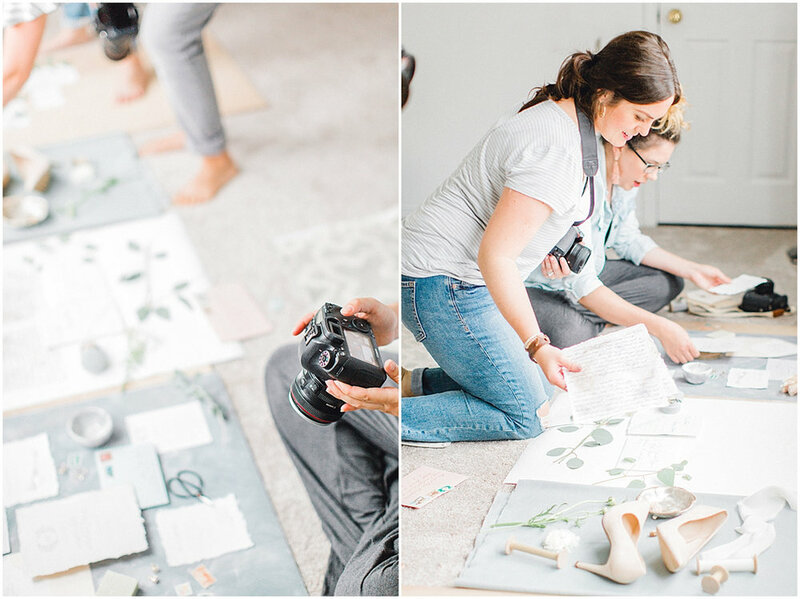 As any photographer or event host knows, planning one is so much work. It's hard to adequately explain what goes into hosting something like this but it's not easy but has proven to be completely worth it! I learned a lot from my first workshop back in 2017 and was determined to enhance the experience this year with everything that was put together. This years dream chasers workshop had 3 styled shoots, a styling bar, floral design class, head shots and more! I'm going to take you through a sneak peek of ALL that just happened at this years workshop and hope that you love scrolling through this post as much as I loved putting it together! I will be blogging each one separately but couldn't wait to share more with you all now! All vendor credits are listed by shoot at the bottom of this blog post for reference! 01. behind the scenes, in my home. If you read this post I wrote awhile back, I dove into my reasons for closing down my studio. The space was no longer serving my business or me but I was holding onto it because of the upcoming workshop. I decided that instead of spending any more money on rent I would end my lease and host the workshop in my home. This was a little scary and daunting as there was a laundry list of house projects we'd been avoiding for years but it turns out this was the PERFECT kick in the pants to do things we've been wanting to finish for three years. I couldn't have anticipated the workshop going any better in our home and I loved bringing everyone into my space that I genuinely love so much. My house is very special to me and has been a huge source of inspiration for me in my life and business. It sounds kinda silly but I believe we are encouraged by our environment and I adore our space. While not EVERY single project was finished in such a short time frame, we did a lot! I loved how comfortable everyone was and how much easier it was for me as a host to be in my own space. I loved how more involved my family was this year, too. My Husband Shaun really stepped up for me and made sure all the things behind the scenes were running smoothly alongside my Mom! I could NOT have pulled this off without their help. I'm glad I snapped a picture of Shaun on the grill for a BBQ we had on the first workshop day because it was so much fun and it wouldn't be a party without Rose Ranch beef! You are also going to see a picture of my friend Jennefer who came ALL THE WAY from Texas to talk editing and share her heart about her own journey with Kindred Presets (the presets I use for all my editing!) She was a true blessing to this event and while she was only with us for a day, she made WAVES with our group and I am so blessed to have had her with us! I was so nervous walking in feeling like I wasn’t good enough to be there and not one time did I ever actually feel that way! I walked away with so much knowledge and drive to really get my business together and chase my dreams! If you want to be inspired, push your business to the next level, drive traffic to your website, and book the clients you’ve only dreamed of, Emma Rose can help you! Her workshops are formatted to help you achieve all your creative business goals, and SO much more! I loved learning from her and I can’t wait to attend another! 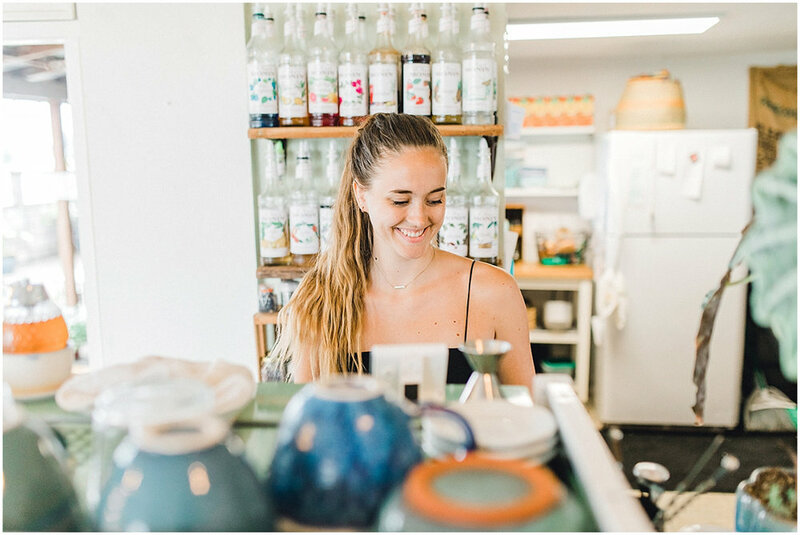 All in all, Emma is a true business genius as well as the kindest, most beautiful soul you'll meet. The friendships I've gained and knowledge I learned have changed my life and my business and I know will do the same for you. If you've been feeling like you want to take your business to the next level and really dive in head first, this is your opportunity! First let me start off my saying I am more quiet, timid, and sometimes groups make me nervous, but Emma made everything so comfortable and relaxed. They were the perfect group of ladies! Second this workshop is everything, Emma thought of every detail, EVERY ONE, and I loved the variety. She even surprised us by being one of our models for one of the styled shoots, which was so fun! I definitely recommend her workshop for every photographer no matter what stage of photography they are in, and I’m already signed up for 2019 in California! I attended a Dream Chaser’s workshop in South Bend and my time with Emma and the other attendees was INCREDIBLE. Everything was better than expected, from the models who attended all of the styled shoots (helllllo gorgeous!!) to the food (so, so, SO good) to the fun, unique things she had planned for us each day (Styling bar?! Yes please!!). She did a fantastic job of balancing education and what we all wanted to be doing…taking gorgeous photos! Something I was super fired up about this year was the styling stations I had planned! 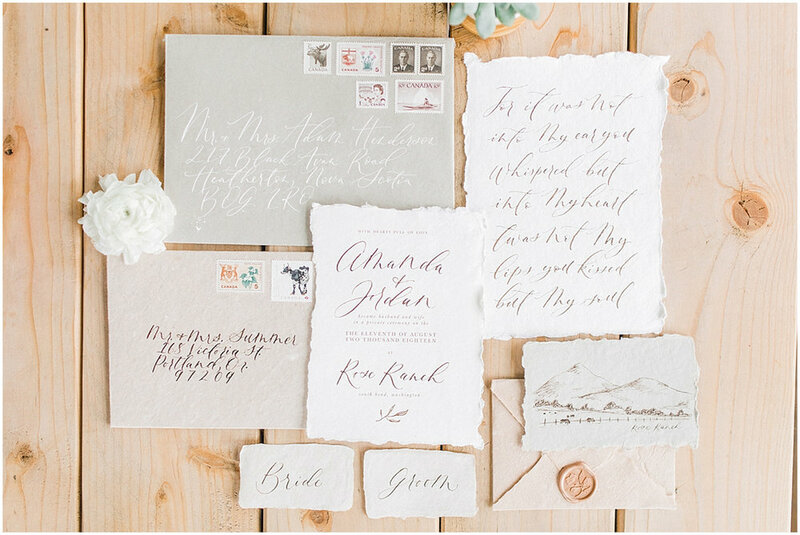 I wanted to not only showcase some AMAZINGLY talented artists, but allow my attendees to kick off the workshop the way I kick off every wedding day which is with the details. 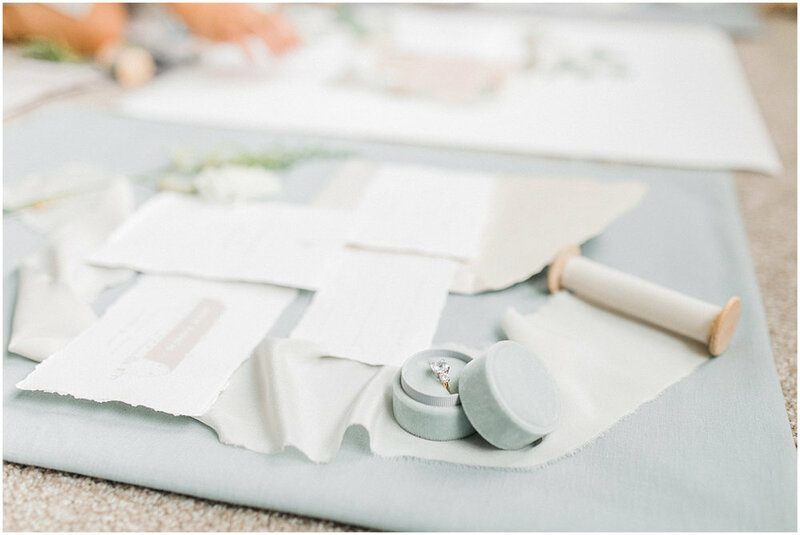 Photographing details helps me get in the creative zone on any wedding day and I wanted everyone to experience the same feelings for the workshop. I loved hearing everyone say, "This is so fun!" "This is brilliant!" "I am loving this!" "Great idea, Emma!" I wanted to do something I haven't seen done and definitely accomplished that with this activity. I'm kind of a nerd for styling props and loved sharing my little collection with everyone at the workshop! I set up a station upstairs in my studio loft as well as space downstairs to let them just roll with it and make magic! 03. floral design class with RhodesiaFlower. 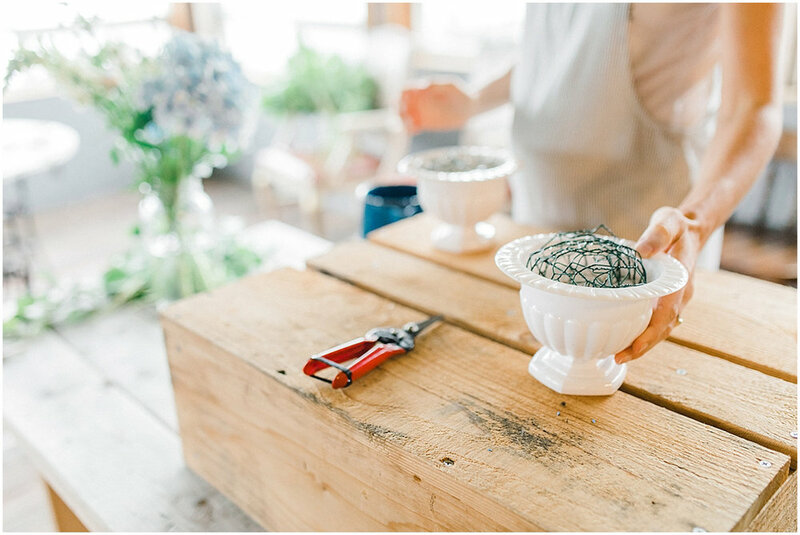 At my previous workshop, we watched Nancy put together a floral centerpiece but this year I wanted to take it a step further and have the group get their hands on the flowers and each build their own compote centerpiece. This was one of my top highlights from the workshop as I got to just walk around, listen to Nancy share her passion for florals and watch everyone create their own special design! We wanted to have the class on the patio but weather was a little unpredictable so we moved it to the building next door and it worked out perfectly! The class took place at Elixir Coffee Shop and it was beyond fun! After the class we ventured down to the dock for some headshots and group shots before heading back to my house for more headshots and educational talks. Having some sort of hands on activity like this one is something I will be implementing at ANY workshop I host because I think it is so important to break it up and let creative people do what they do best which is CREATE! And who doesn't love a room full of gorgeous florals that aren't just pretty but smell INCREDIBLE?! Thank you, Nancy, and Elixir staff for making this so special! 04. lifestyle maternity session on the Willapa Bay. Originally, my friends Julia and Dustin were going to be my bride and groom at one of the styled shoots but the universe had other plans for these two... you know... getting pregnant! So instead of not having them model at all I decided that the timing would be PERFECT to use them for a lifestyle maternity session at their beautiful home on the Willapa Bay. She would be about 7 months along which is an ideal time for maternity pictures! 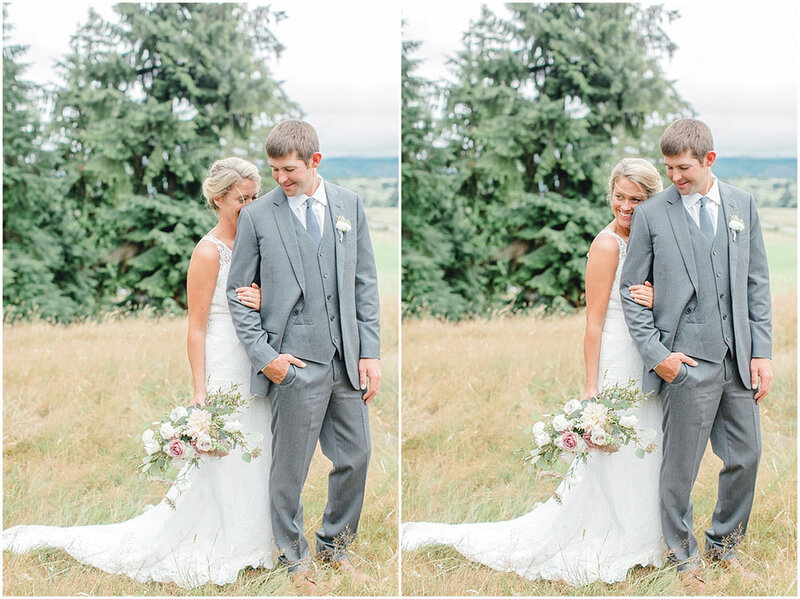 Julia and Dustin were so great and easy to work with. Capturing them in their element in a space that means so much to them as a couple was really special for me as a photographer and loved that I got to share the experience with my attendees this year. You won't find kinder people than these two and I know they are going to be incredible parents to their little man who will be here before we know it! 05. styled wedding shoot onRoseRanch. 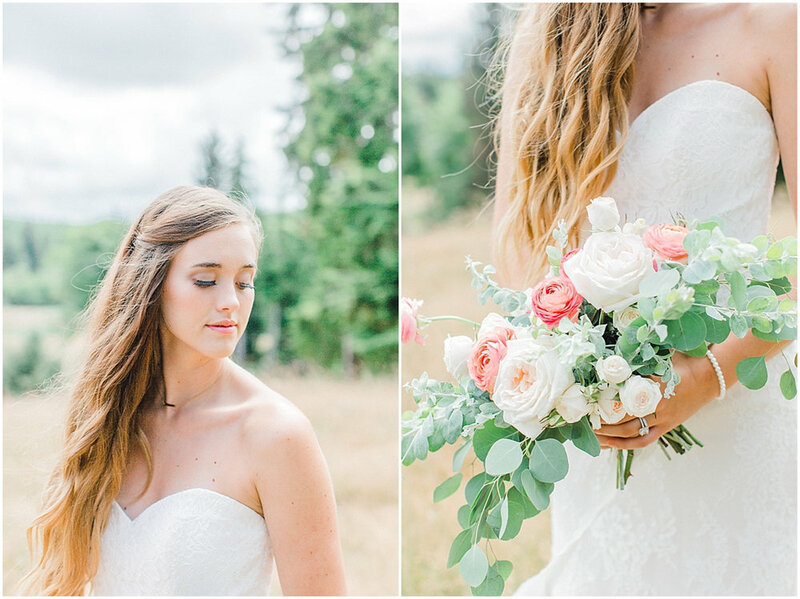 Ahhh the main styled shoot on Rose Ranch... one of my FAVORITES to date! Full transparency: finding models to fit my vision was harder than anticipated but fairly last minute I was on Facebook and my college friend Chanel popped on my feed and a light bulb went off and I immediately texted her to see if she and her Husband would be willing to venture down the coast to model at my workshop. They said yes and we started putting plans together! My attendees got a taste of our weather and how even in AUGUST we still fight with dreary and rainy weather. The clouds were rolling in and it was getting dark pretty quickly and I was slightly nervous about time (models got stuck in a TON of traffic coming down the coast and what should have taken a little over 3 hours took almost 6... yikes!) BUT with all those obstacles and less time than I'd hoped for, this group worked together like BOSSES to ensure everyone got amazing photographs and we respected one another throughout the entire shoot. The weather actually worked in our favor and created the most glorious even light and I LOVED the coastal mist we got, too! It added some drama to the shoot that I am very happy about! All in all, it couldn't have been any better and I'm in love with the final gallery. 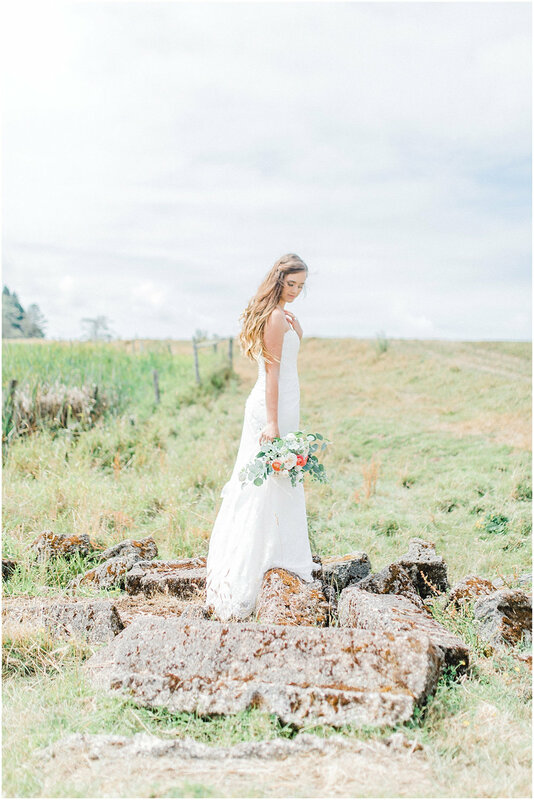 Here's a little sneak peek of the main styled shoot down at our barns... I will be sharing oh so many more in the weeks and months to come! I will never forget this and loved seeing one of my old college friends again! 06. styled bridal shoot onRoseRanch... and a little surprise for my attendees! 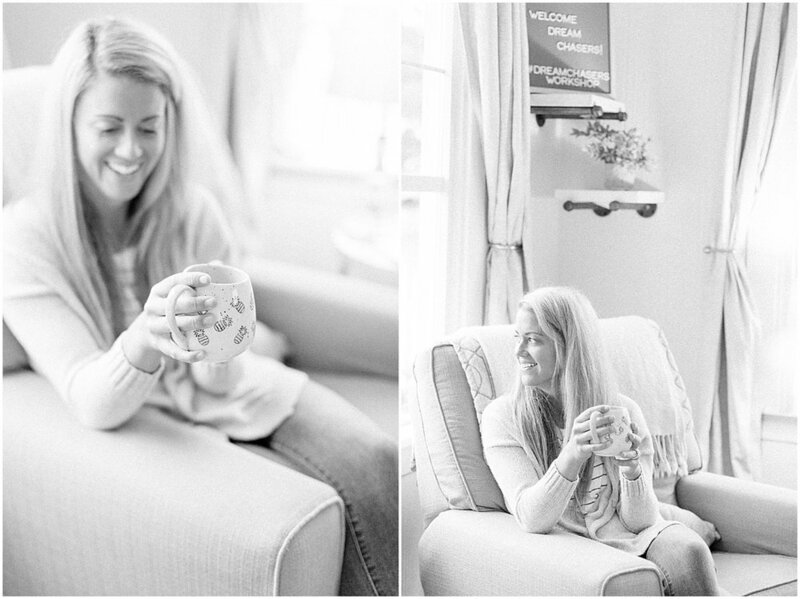 This shoot was originally scheduled for my beautiful friend, Brooke! We went up to Olympia together to pick out a dress for her to wear and suddenly this lightbulb moment went off when I had an idea to model! While this may seem super weird to have the workshop HOST model at her own workshop, I get it. However, the original plan for this was to have my friend Nicole lead the entire shoot and I'd be a fly on the wall so I figured what the heck, let's send these photographers home with even more content! I am also always trying to learn and grow as an educator and getting to experience this on the other end was really beneficial and helpful for me with future events and shoots. It was a perspective I have not yet had the chance to explore and I'm grateful to have had the opportunity to live it! And I won't lie... it was not the worst thing in the world to get dressed up and love on my main for a short while in front of the camera. He was such a trooper and I'm grateful to him for always saying yes to my crazy ideas! Our fifth wedding anniversary is right around the corner and these photos are a celebration of that and so much more. HUGE thank you to my friend Nicole for handling the photos for me and being an absolute dream to have as my right hand man and second shooter! The photos she was able to capture for me are absolutely invaluable and I'm grateful to have had her here with me for my second annual Dream Chasers Workshop. This workshop was truly a blessing in my life and it couldn't have come at a better time in my life and journey to a better me. If you cruise around my blog you'll find more posts to help explain the journey I've been on to change my bad habits, lose 50+ pounds and find myself along the way. This workshop was a celebration of that and so much more. I now have lifelong friends that I'm grateful to have met! I will never be the same after this experience. 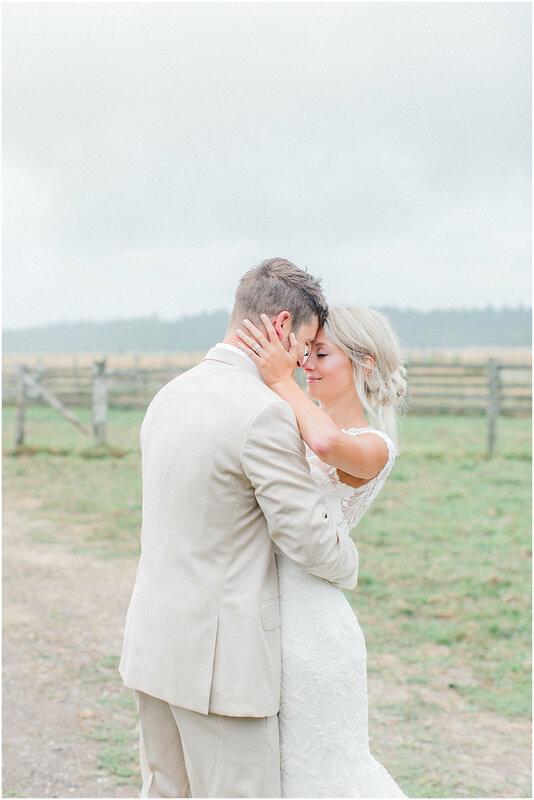 I hope you love these images as this is a TINY fraction of all the magic that was captured but enough to let you in on the event and what made it such a special event. Plans for 2019 are in the works so stay tuned for more details on that soon!